Funded by a National Institutes of Health (NIH) Clinical and Translational Science Award (CTSA), the CCTST offers the KL2 Research Scholars mentored career development award to eligible faculty. The KL2 program generally provides 75% salary support (up to $100,000/year) plus $25,000 in research-related expenses for up to 2 consecutive years to highly qualified junior faculty pursuing careers in clinical and translational research. A progress report is required at the end of each year. Availability of second year funding is contingent upon successful competitive renewal of the CTSA grant. During the award period, Scholars are expected to pursue their own K23 or similar individual career development awards, or R01 grants. The applicant’s home division or department must guarantee a 3rd year of 75% protected time in the event that the Scholar has applied for but not yet received independent research grant support by the end of the 2nd year of KL2 support. Current and recent Scholars are listed below. Also shown are Scholars of the CT2 program, which has the same goals and requirements as the KL2 but is funded by the CCTST and the Scholars’ home divisions/departments. To be eligible, the applicant must have a full-time faculty appointment at the University of Cincinnati (UC), Cincinnati Children’s, or Cincinnati Veterans Affairs Medical Center (VAMC) at the time of the award; the position cannot be contingent on obtaining the KL2 award. The applicant must be a U.S. citizen or non-citizen national, or have documented permanent resident status. Additional restrictions apply; see item 8 of the RFA for eligibility guidelines. Members of underrepresented racial, ethnic and socioeconomic groups and candidates with disabilities are strongly encouraged to apply. KL2 Scholars must identify an approved KL2 primary mentor and at least one other mentor. A list of primary mentors meeting KL2 criteria is linked below. To ensure that all KL2 Scholars have, or develop, competency in key areas of translational research, Scholars are required to complete a series of courses either prior to or during their KL2 award period. Scholars have an opportunity for externships with outside organizations, such as a pharmaceutical company, clinical research organization, or another CTSA institution. Letters of Intent due: September 7, 2018 by 5:00 p.m. Invited Applications due: November 2, 2018 by 5:00 p.m. Application submission: Please note that Letters of Intent and full applications must be submitted through the CCTST Competition and Awards Program Site (CCAPS). Log in using your UC (“6+2”) or CCHMC username and password. If you do not have a UC or CCHMC username and password, please email Teresa Hamrick or call (513) 803-1044 to obtain them. CCTST membership (free of charge) is required to apply (including the LOI stage). Dr. Huaman’s project is entitled Coronary atherosclerosis and immune activation in latent and active tuberculosis, mentored by Carl Fichtenbaum, MD, infectious diseases, UC College of Medicine. Tuberculosis and cardiovascular disease are leading causes of death globally. We recently demonstrated that latent and active tuberculosis are associated with increased risk of myocardial infarction. The underlying mechanisms of these associations are unknown, limiting our ability to design interventions. We hypothesize that immune activation from tuberculosis is an important driver of atherosclerosis leading to increased cardiovascular disease risk. Thus, this project will define the degree of subclinical coronary atherosclerosis and identify associated patterns of T cell and monocyte activation in persons with latent and active tuberculosis compared to matched uninfected controls. Dr. Park’s project is entitled “On-demand” Long-Term Drug Delivery for Chronic Posterior Eye Disease Treatment, mentored by Winston Kao, ophthalmology, UC College of Medicine. Chronic posterior eye diseases, such as age-related macular degeneration, diabetic retinopathy, and diabetic macular edema, result in life-long functional deficits and enormous global health care costs. We still rely on direct intraocular injections of drugs every 4–6 weeks. However, repeated injections are not only invasive and inconvenient for patients but also increase the risk of serious complications. This proposed research develops a new paradigm to solve the challenges using innovative drug delivery systems activated by laser “on demand” to prolong the efficacy for 6 months or longer with one injection. Dr. Merhar’s project is entitled Early prediction of motor outcomes in neonatal encephalopathy and stroke, mentored by Scott Holland, PhD, Neuroimaging Research Consortium, Cincinnati Children’s. Cerebral palsy affects as many as 3.6 per 1000 children born in the United States, with annual healthcare costs of $15 billion. Because of current delays in diagnosis, more accurate ways to predict cerebral palsy in term infants with brain injury around the time of birth are needed. Advanced neuroimaging techniques evaluating the brain’s function and microstructure in the first 3 weeks of life will be used to predict which infants will later develop cerebral palsy and better understand the mechanisms behind the development of this disorder. Dr. Merola’s project is entitled Ambulatory Monitoring of Orthostatic Hypotension in Parkinson Disease, mentored by Joseph Broderick, MD, director, UC Neuroscience Institute. The autonomic nervous system is a closed-loop network that constantly senses and therefore modulates multiple functions of the body, including blood pressure (BP) and heart rate. In Parkinson’s disease, this system can be disrupted, resulting in inadequate control of BP fluctuations in response to postural changes, with extremely high BP when recumbent (supine hypertension) and extremely low BP when standing (orthostatic hypotension). We propose to evaluate the feasibility and tolerability of a wearable device integrating sensors for monitoring BP changes with body positions, as well as episodes of imbalance due to orthostatic hypotension. Dr. Riley’s project is entitled Mapping Families’ Social Networks to Improve the Health and Well-being of Children, mentored by Peter Margolis, MD, PhD, co-director, James M. Anderson Center for Health Systems Excellence, Cincinnati Children’s. My community-based team and I propose to use community organizing methods to continue growing a social network of families with pregnant women and/or young children in two low-income neighborhoods. We will gather information through surveys of these families conducted by their fellow community members. With this information, we will map the social networks of these families. We will then study the maps of the network to learn about the social connections among the families in the network and how these connections are related to factors such as trust and outcomes related to child health and well-being. Dr. Apewokin’s project is entitled iHIOs & Metagenomics to unravel host immune-microbiota interactions in C. diff, mentored by Alison Weiss, PhD, molecular genetics, UC College of Medicine. Clostridium difficile, the leading cause of healthcare-associated infections in the United States, has recently ben classified as one of the top three organisms deemed to be an “urgent” public health threat by the CDC. There is a critical need to curtail C. difficile infection (CDI) incidence; however, established approaches are clearly inadequate in reducing rates. The studies proposed here will expand our knowledge of C. difficile host-microbe interactions in cytotoxic chemotherapy patients and potentially identify new strategies for preventing CDI in such patients. Dr. Kramer’s project is entitled Driving Cystic Fibrosis Related Pulmonary Disease through TGFβ1, mentored by JP Clancy, MD, pulmonary medicine, Cincinnati Children’s. Cystic fibrosis (CF) is a life-threatening inherited condition that causes lung disease. Transforming growth factor beta 1 (TGFβ1) is a molecule made in the body that alters CF disease. CF patients who make more TGFβ1 have worse lung disease, but we do not understand why. We propose to study how TGFβ1 affects the lung and why people with CF are more sensitive to TGFβ1. Using samples from both mice and patients, we will study what TGFβ1 does in the lung, how it is linked to symptoms of worse CF disease, and why it functions differently in CF. Dr. Phoenix’s project is entitled Defining and targeting therapeutic barriers in brain tumors, mentored by Sander Vinks, PhD, PharmD, clinical pharmacology, Cincinnati Children’s. This year the Centers for Disease Control and Prevention announced brain tumors replaced leukemia as the most common cause of cancer-related death in children, accounting for 3 out of 10 deaths in 2014. The inability of drugs to effectively reach brain tumors is commonly cited as the cause of therapeutic resistance. We will define differences in drug penetration between brain tumor subgroups, and examine changes in drug penetration induced after targeting a pathway involved in brain vascular permeability, providing new opportunities to improve drug development and delivery of brain tumor therapies. Dr. Duncan’s project is entitled Surviving and Thriving in the Real World: A Daily Living Skills Intervention for Adolescents with Autism, mentored by Lori Stark, PhD, developmental and behavioral psychology, CCHMC. Daily living skills, which are activities that are required for everyday independence at home and in the community, are impaired in high functioning adolescents with autism spectrum disorder (ASD). Despite the fact that individuals with ASD who have better developed daily living skills are more likely to live independently, attend college, and be employed, there are no intervention packages that target daily living skills. The current research study will conduct and evaluate a pilot evaluation of an intervention for 64 adolescents with high functioning ASD and their parents that targets the acquisition, mastery, and generalization of daily living skills. Dr. Hudock’s project is entitled Seqing mechanisms for rare neutropenias: Deciphering the neutrophil transcriptome, mentored by Bruce Trapnell, MD, pulmonary biology, CCHMC. Poikiloderma with neutropenia (PN) is a rare disease that affects babies; there is no cure. Because PN is rare, it is difficult to study. We will use small blood samples from children with the disease to collect cells that we will use in our research. We will use new technologies to edit the genes of these cells, and work to understand the roles that these cells play in this disease. Dr. Boyne’s project is entitled Mechanisms of Walking Recovery After Stroke, mentored by Jennifer Vannest, PhD, neurology, CCHMC. Current rehabilitation methods after stroke result in limited recovery of walking ability. One factor limiting progress is that little is known about how the brain produces walking after stroke and what changes in the brain are beneficial for improving walking function. This study will develop a new method for assessing the regions of the brain that are active during walking among persons with stroke. It will also evaluate brain changes that are associated with improved walking function after a targeted intervention. Study findings are likely to lead to more effective interventions for improving walking ability after stroke. Dr. Wise-Draper’s project is entitled Defining checkpoint inhibitor activity and resistance in head and neck cancer, mentored by Laura Conforti, PhD, nephrology and hypertension, UC College of Medicine. A patient’s own immune system is known to be important for fighting cancer. However, in head and neck cancer (HNC), the immune system is often turned off by the cancer itself. Interestingly, by preventing the interaction of receptors on the immune cells and the cancer (PD-1/PD-L1), with an antibody called pembrolizumab, the negative blockade is reversed allowing the body’s own immune system to destroy the cancer. Unfortunately, some tumors increase expression of other negative signals causing pembrolizumab to be ineffective. This proposal will attempt to identify and target these negative signals signals, which may reactivate the immune system to attack a patient’s tumor. Dr. Vagal’s project is entitled Penumbral Relation to Clinical Outcome and Time (PREDICT—A Natural History Study), mentored by Pooja Khatri, MD. Research presented at the May 2016 American Society of Neuroradiology annual meeting in Washington, DC found no evidence of time dependence on damage outcomes for the penumbra following stroke, but rather an association with collateral flow. Very young children are a vulnerable population at risk for unintentional and abusive traumatic brain injuries (TBI). We can improve the care of these patients if we improve the initial measurements of the severity of their injuries. We believe that by measuring specific proteins in their blood, we can better predict the results of how they will recover in 6 months. These improved predictions will allow us to provide better immediate and long-term care for future children experiencing traumatic brain injuries. Interrupting healthcare providers while they assess patients can cause serious injuries to patients (wrongsite surgeries, medication errors). Interruptions are common in the emergency department (ED), and mistakes that occur in triage could lead to missing information about the patient, mistakes about severity of the illness, and decrease patient satisfaction with their care. It is important to identify and prevent interruptions at triage. As well as providing the investigator with training and experience in healthcare operations research methods, this study will identify promising new ways of reducing interruptions and their consequences that can be tested in future research. Dr. Florin is a is a pediatric emergency medicine physician and epidemiologist with an interest in the acute diagnosis and management of lower respiratory tract infections, namely bronchiolitis and pneumonia. He completed residency and chief residency in pediatrics, followed by fellowship in pediatric emergency medicine at The Children’s Hospital of Philadelphia. He joined CCHMC in 2012 as assistant professor of pediatrics in the division of pediatric emergency medicine. Dr. Florin’s research focuses on both epidemiologic studies and clinical trials in children evaluated in the emergency room with pneumonia and bronchiolitis. He is the principal investigator of a prospective study of pediatric pneumonia at CCHMC entitled Catalyzing Ambulatory Research in Pneumonia Etiology and Diagnostic Innovations in Emergency Medicine (CARPE DIEM). Specifically, his KL2 research focuses on the use of clinical prediction modeling and biomarkers to risk stratify children with pneumonia in the emergency department (ED) setting. His research team includes co-investigators and mentors that provide essential expertise in pneumonia, emergency medicine research, epidemiology and the development of clinical prediction models. Dr. Haworth completed his MS and PhD in applied physics at the University of Michigan. His doctoral research focused on the use of time-reversal acoustics and ultrasound-triggered phase-shift emulsions for ultrasound aberration correction. This work was funded by an Applied Physics Fellowship and a Rackham Pre-doctoral Fellowship. Thereafter he joined the Image-guided Ultrasound Therapeutics Laboratory at UC as a postdoctoral fellow under the direction of Christy K. Holland, PhD. In this role, he developed passive cavitation imaging techniques while investigating the imaging and drug delivery capabilities of echogenic liposomes. This work was funded through an NIH F32 fellowship. In July 2012, Dr. Haworth accepted a faculty appointment in the UC Department of Internal Medicine, where he currently directs the Biomedical Ultrasonics and Cavitation Laboratory (BUCL). The research foci of BUCL are on the implementation of ultrasound-triggered phase-shift emulsions and novel imaging algorithms for diagnosis and therapy of vascular diseases. This includes Dr. Haworth’s KL2 award entitled “Multifunctional ultrasound-triggered emulsion for stroke” and a Rehn Family Research Award to study ultrasound-triggered phase-shift emulsions as a contrast agent for atherosclerosis. Dr. Haworth has a secondary appointment with the UC biomedical engineering program where he co-teaches “Introduction to Biomedical Engineering in the Clinical Environment”. Dr. Dietz is a speech-language pathologist specializing in neurogenic communication disorders and augmentative and alternative communication (AAC). She completed her master’s degree at Florida State University in 2001, and her doctorate at the University of Nebraska-Lincoln in 2007. Her primary research interests concern the development of alternative and augmentative communication (AAC) interventions that help people with aphasia simultaneously recover language and compensate for deficits. She is interested in using neuroimaging technologies, specifically functional magnetic resonance imaging (fMRI) and diffusion tensor imaging (DTI), as biomarkers for AAC treatment-induced language recovery in people with aphasia. Jointly appointed in the Division of Nephrology and Hypertension and the James M. Anderson Center for Health Systems Excellence at CCHMC, Dr. Hooper’s aim is to improve clinical outcomes for pediatric kidney transplant recipients through research in personalized care and the design of reliable healthcare systems. Dr. Hooper’s research training includes a Masters Degree in clinical and translational research from the University of Cincinnati, in addition to advanced training in quality improvement methodology through the Quality Scholars in Healthcare Transformation program at CCHMC. Dr. Hooper’s career focus is to combine clinical outcomes research with quality improvement to reliably prevent cardiovascular disease, the leading cause of long-term death and disability in pediatric transplant recipients. While at CCHMC, Dr. Valentine, a neonatologist, was an assistant professor and principal investigator in the division of neonatology, perinatal, and pulmonary biology at CCHMC in the Center for Interdisciplinary Research in Human Milk and Lactation. She has worked in the field of neonatal nutrition for the past 24 years with a focus on human milk feeding strategies and maternal/infant nutrition. Her graduate degree focused on premature infant nutrition was completed at The University of Florida. Her medical school and pediatric residency training were completed at Baylor College of Medicine in Houston, where her basic science work in oxidative metabolites was supported through an Alpha Omega Alpha research fellowship award. She completed her neonatology fellowship in 2010 and a recent RCT with maternal supplementation at The Ohio State University/Nationwide Children’s Hospital. As a KL2 scholar, she investigated maternal supplementation with the long chain fatty acid docosahexaenoic acid (DHA) and effects on maternal and infant outcomes. Former KL2 Scholar Alberto Espay, MD was widely quoted in national media (including the New York Times) regarding his Parkinson’s Disease study that found patients’ perceptions of a drug’s cost impacted the effectiveness of their treatment. Results were published in the January 28, 2015 online issue of the journal Neurology. 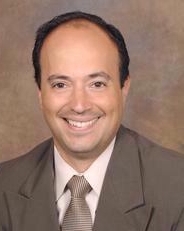 Dr. Espay is an associate professor of neurology and rehabilitation medicine in the UC College of Medicine.